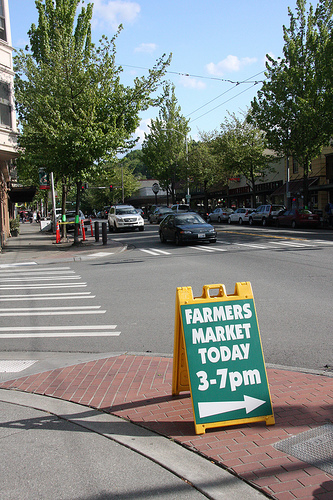 We need someone to put out the "Farmers Market Today" signs at the intersections surrounding the market. The most important thing about this job is that the signs are out by 8:30 am on Wednesday mornings. Past sign-putter-outers say they can easily get the job done in 30 minutes. We have a heavy duty cart for ya - no car required. 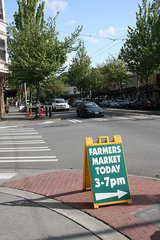 We hope to make it worth your time with a modest but useful market stipend. Give us a call at 632-5234. Thanks!